At a time when we seek a closer connection with the natural world, this beautiful deck invites us to celebrate the earth and the rhythm of her seasons. Combining the two great streams of Western Pagan tradition–Wicca and Druidry–Philip and Stephanie Carr-Gomm, together with artist Will Worthington, have created a tarot of extraordinary depth and relevance that can help guide and illuminate your life. The Druidcraft Tarot‘s powerful images have emerged from a vast store of teachings and story-telling rooted in our ancient past. Use them as gateways to your inner spiritual world, and deepen your knowledge of yourself and of the earth. 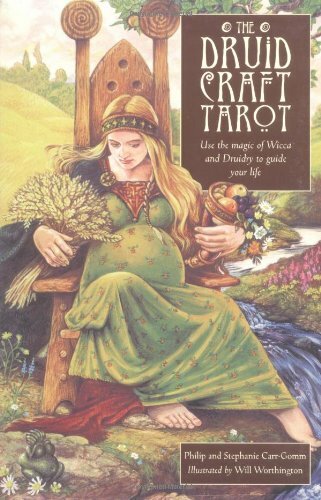 Let the natural wisdom of Druidcraft bring you insight and inspiration for the life issues that you face today.